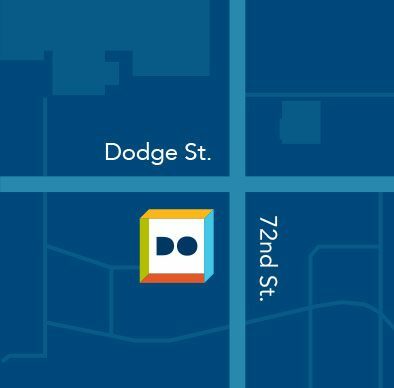 Do Space offers the Omaha community access to new and emerging technologies such as 3D printers and laser cutters to inspire a new interest in design and help the community bring their creations to life. 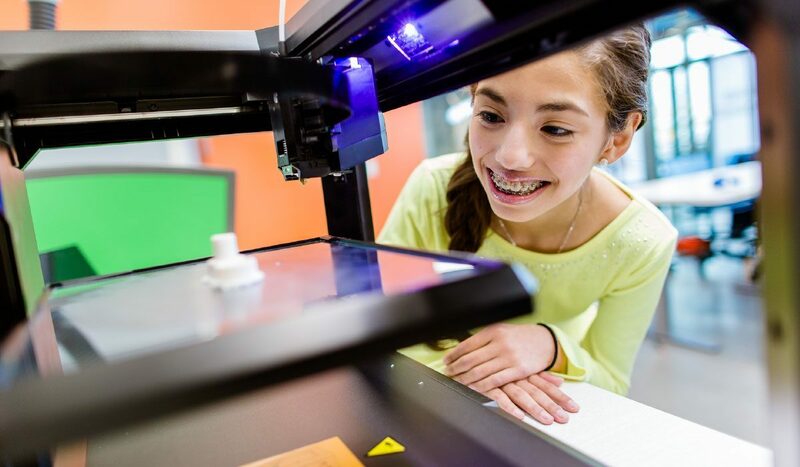 3D technologies are available at Do Space to make three-dimensional objects in plastic, wood and other materials using a design that is uploaded from a digital file. Any Do Space member may submit a design, and Do Space staff and volunteers will assist in the creation of the object through hands-on access to the 3D lab equipment as time/staffing allows. Those needing extended one-on-one assistance are encouraged to submit a mentor request. Do Space’s 3D printers do not print with bio-compatible materials. Objects printed at Do Space are not meant to be worn against the skin or internally for extended periods of time. Nor should printed objects be considered strong enough to support more than minimal weight or pressure. Cost is determined by the weight of the final printed object, including any support filament used to render the object. Fees are assessed at $5.00/cubic-inch of filament + $8/cubic-inch of support material + sales tax for items created on the uPrint or Dimension printers. Prints are payable on pickup and must be picked up within two weeks of notification or the object will become the property of Do Space. Members will not be charged for failed prints if the problem is related to a printer malfunction. If the problem arose from a problem with the design file, members will be charged for the weight/volume of the object. Items printed by members on the Taz 5 will not incur a charge if the member supplies their own filament. Members wishing to use the Taz 5 (or Da Vinci minis) with Do Space-provided filament will be charge $0.10/gram of used filament. Weaponry or parts of weaponry of any kind. Obscene or otherwise inappropriate for the Do Space environment. Members using equipment directly are to be present while the equipment is running. Do Space is not responsible for any jobs or materials left behind. Any 3D drafting software may be used to create a design as long as the file can be saved in .stl file format. Do Space has computers available with software, such as AutoCAD, SketchUp Pro and Solidworks, that may be used to create a design. Members can also find pre-created and modifiable digital designs from websites such as Thingiverse.com and bld3r.com. Persons wanting to have an item created in the 3D Lab will bring their file to Do Space staff on a flash drive. Staff will perform basic checks on the design before printing to make sure 3D files are printable and comply with Do Space policies. In times of high demand, Do Space will schedule only one print per day per person or entity. It is sometimes difficult to estimate exact creation times. Do Space staff will make an educated guess about the length of a job based on hardware speed and queue length upon request. Members will be contacted to pick up their prints when they’re ready. Items printed by Do Space equipment not picked up within 14 days will become property of Do Space.